Promoting your blog post isn’t a set it and forget it type of deal. You have to intentionally put it out there for people to see. So no matter how great your content is unless you’re Shonda Rhimes, ain’t nobody checking for your blog post unless you tell them to. Think of your blog post as a party. You’ve spent all that time preparing but nobody shows up because you forgot to send the invites. This is exactly what happens when you send your blog post out to internet nowhere-land and hope for the best. You get crickets and then you contemplate quitting because it just isn’t working. 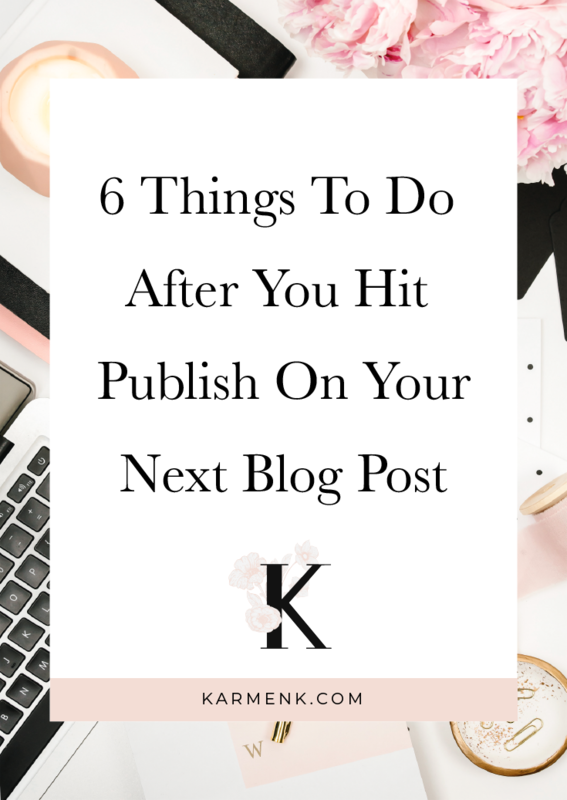 Today, I’ll be sharing with you 6 things I’ve done and still do to get my blog posts out there, clicked on, and read by my target audience. Social media can be a huge contributor to your blog traffic. However, you can’t get traffic if you’re not sharing enough on social media. Most people will post one time to each social account. In reality you should recycle your blog post multiple times to all of your social accounts. 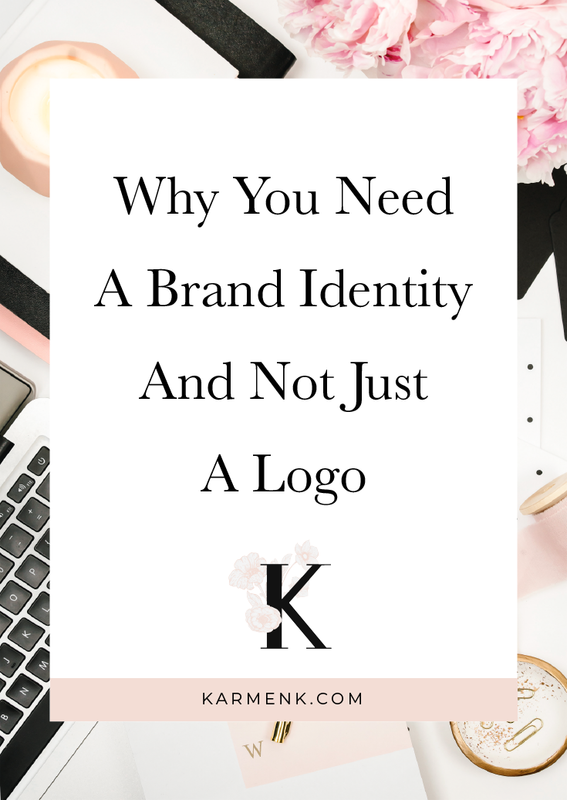 I’ll typically create 2 – 3 blog graphics to share on Pinterest. Now that you have all of these awesome graphics it’s time to share your blog post on social media. You can do this manually but it’s more effective when you automate this step. Scheduling your post a few different times across social networks allows you to reach more people and increase your opportunities for converting your followers into regular blog readers. One of my favorite social media schedulers is ViralTag. I like ViralTag because not only can you schedule your content in advance but it also automatically recycles your content for you. It’s perfect for recycling your blog posts over and over again. You can re-share older posts without having to remember to add them back into the queue each time. Just add your content, set your posting days and times, and let ViralTag do the work for you. I made the mistake of having an email list and didn’t realize I should be sharing my latest content with my email subscribers. In fact it didn’t click until one of my IG followers said she joined my email list to know when I dropped new content. Talking about a blind spot, right? This is exactly why you should be sending your new content to your subscribers. They want to hear from you other than when you’re trying to promote your product or service. Sending out regular emails about your latest blog posts helps you build trust with your target audience. Trust is what open doors and wallets when you put something out there for purchase. Adding your blog posts to your email marketing strategy is also a solid way to get regular traffic to your blog post after you hit publish. I use ConvertKit to send my email subscribers one-time broadcasts when I drop new content on the blog. ConvertKit also provides analytics and detailed stats about who opens your email and even who didn’t open your email. You can use these stats to understand what types of content your subscribers respond to the best. Now when you reach out to your subscribers you want to make sure your email gets opened. So use an attention grabbing subject line that doesn’t sound like spam. For example I love music and I feel like it’s relatable to so many aspects of life. So I’ll use a song title or even lyrics that relates to my content as a subject line for my email. We talked about recycling your post across your social accounts, but you should also repurpose your blog posts into different mediums. Video is the future. Facebook and Instagram LIVE are becoming the norm for bloggers and influencers to connect with their audiences on a personal level. You can also repurpose your content into lead magnets to grow your email list. 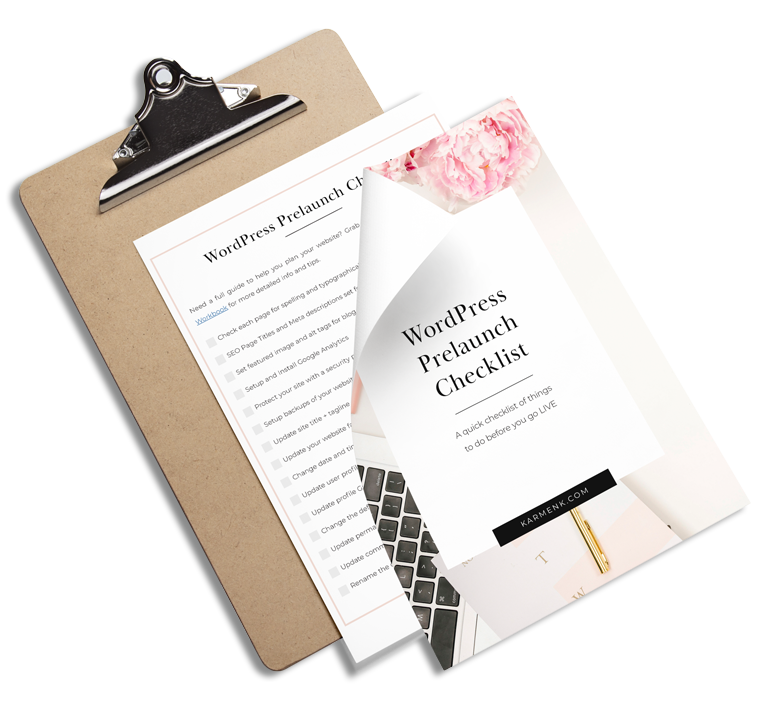 Lead magnets like checklists and quick guides are convenient for your audience to save for future reference. ConvertKit makes it easy to deliver your lead magnet right to your subscriber’s email inbox after sign-up. I know this sounds simple, but do you know how many people don’t respond to comments? It’s like leaving money on the table. I mean how many times have you visited a store, and the clerk doesn’t even bother to say hello when you walk through the door. Do you really want to leave that type of impression on your blog’s visitors? A simple ‘thank you’ is perfect even if you don’t know what to say. And if that person has a blog, be sure to return the favor and read a post of theirs and comment. That’s where collaborations start! At the start of each month, you should check your Google Analytics account for the previous month’s page views. Your analytics play a major part in your future content. You’ll start seeing patterns around certain topics. This is your indication to keep writing more posts similar to the ones that get the most engagement. Analytics is also perfect for strategically adding opt-ins throughout your blog. 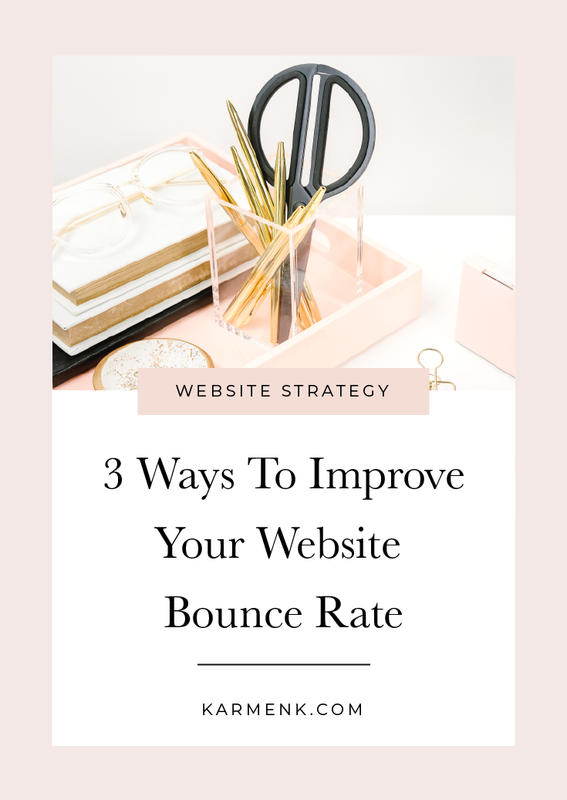 If you’re constantly getting pageviews on a particular post, it’s a good idea to add an opt-in there since you already have a steady flow of traffic. Soooo … was that a little overwhelming or just what you needed to know? 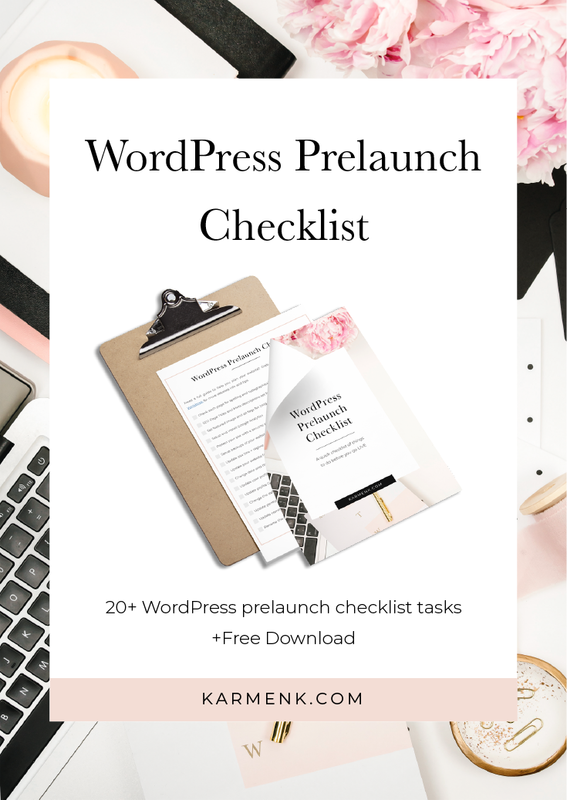 Don’t worry you don’t need to remember it all, just take a copy of of this checklist to go. 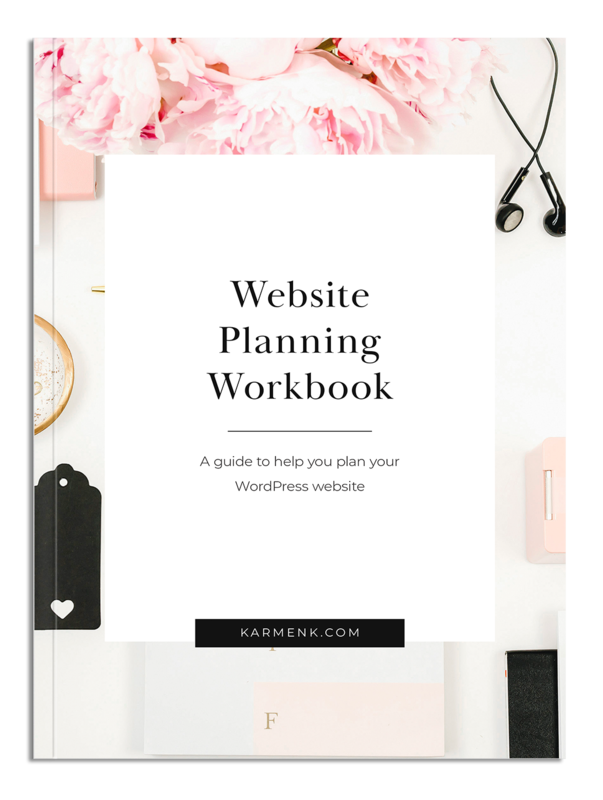 It’s pretty handy to keep around, so you can stay on top of your blogging game. BT-dubs, you got anything to add to this that I missed? Learning works both ways! Feel free to drop your 2 cents in the comment below.